Saturday, it finally felt like spring! So I got in the decorating mood. It may have been dull outside today, but inside for Easter there was definitely a touch of color. 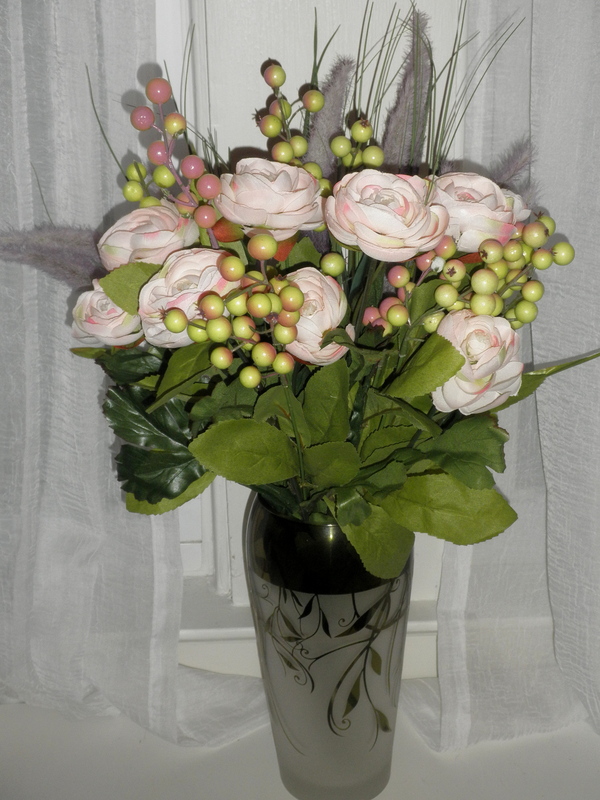 It was just me and the Man for Easter this year, so we kept the dining room table simple and sweet. 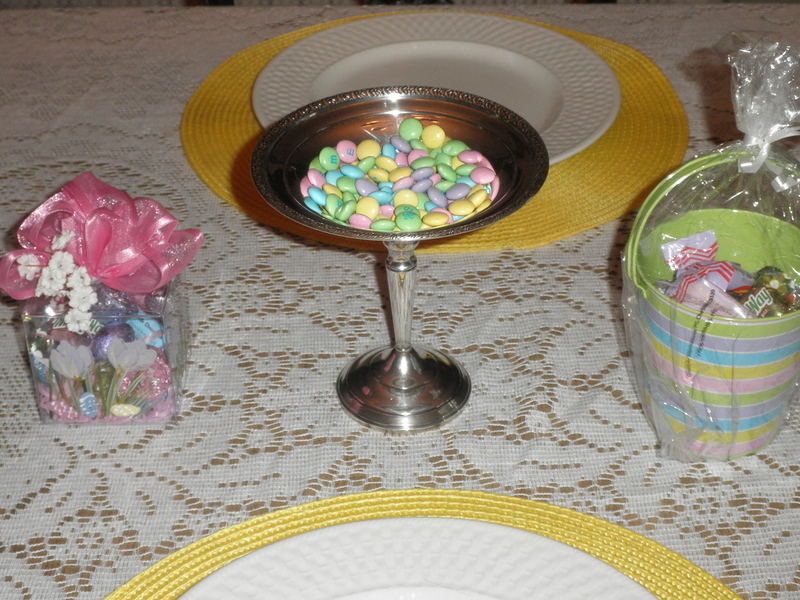 My aunt gave us both our own Easter goodies, so we put them on either side of a simple silver candy dish, filled courtesy of m&m’s from my Mom. The bonus? Excuse to eat chocolate whenever you have to go from anywhere in the house to the kitchen. 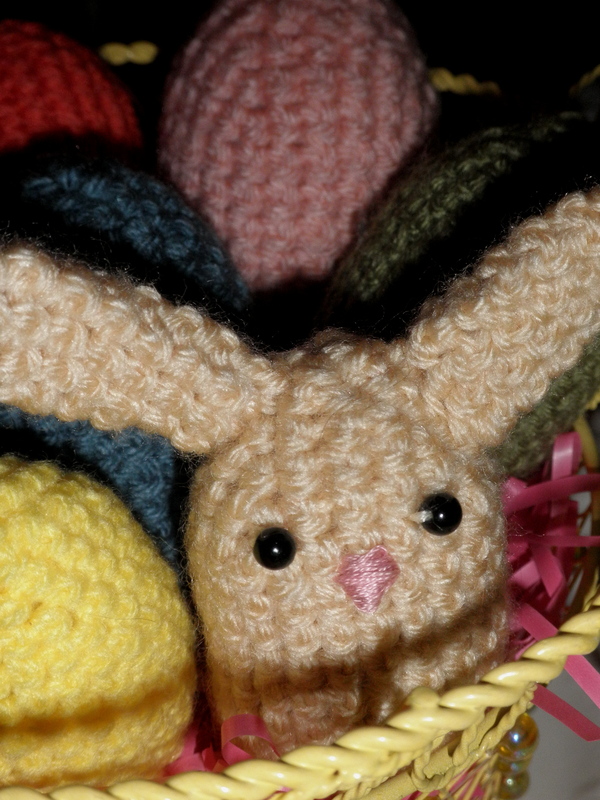 I haven’t dyed Easter eggs since I was very little, but I miss the way they look on the table. 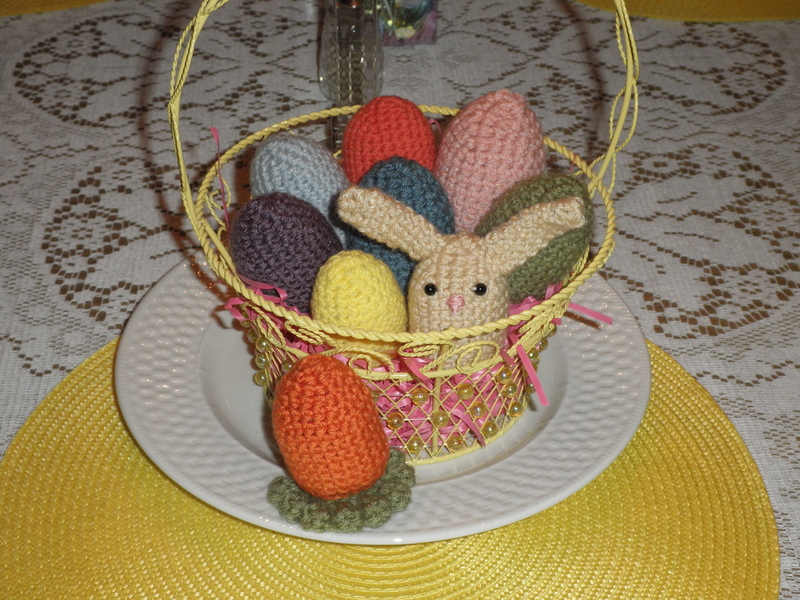 I couldn’t bring myself to buy a kit and dye a dozen eggs just for me and the Man, so I came up with the next best thing: why dye eggs when you can crochet them? 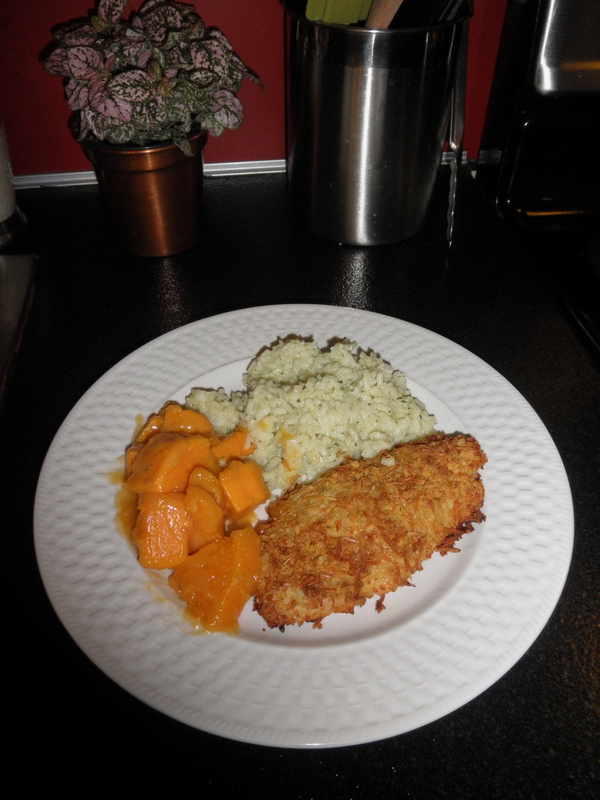 And for dinner, it was breaded chicken cutlets with Parmesan, garlic and herb rice, and some sweet potatoes with glaze. Simple, but colorful. While today may have been a little quiet, and we were definitely missing family, sometimes it is good to appreciate the simple things. All in all, the day was lovely. I hope everyone else had a quiet, low key day. Happy Easter! 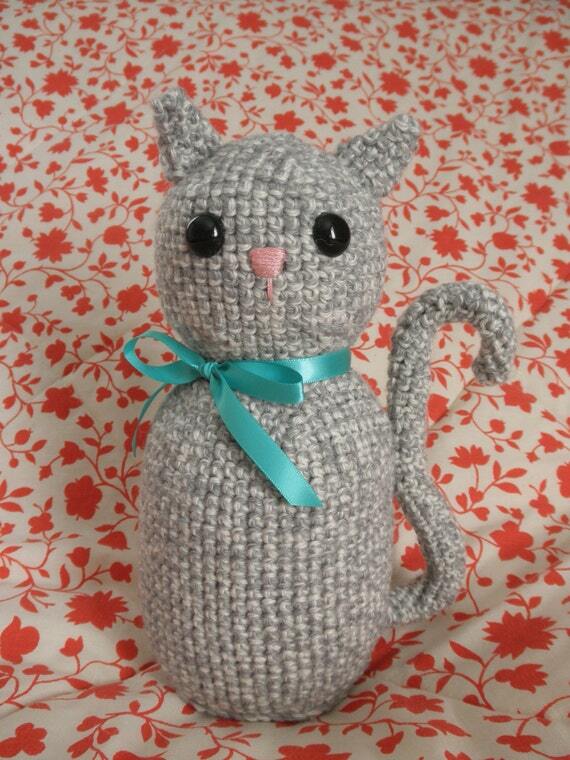 Next postfeline friday and blog giveaway results!